Welcome to our class page. On this page, you can find out the exciting adventures that 6KP have been up to recently. In addition, there will be resources and useful information for both parents and children, posted on here. So please take your time to read our page and become digitally connected to our class. Starting from the Spring term, year 6 will be undertaking SATS revision session. This will take place for 3 lessons a week: Reading, Mathematics and SPaG. This will act as an extra booster towards helping year 6 in enhancing their knowledge and preparation for the test. In 6KP, we have enjoyed ourselves in these sessions. We have been understanding how to: tackle tricky Maths questions, understand what type of questions we have in reading and understanding key elements to grammar and punctuation. Please ask our children on anything new they have learnt. The dates of SATs are in a link at the bottom of this page. Monday is when we have outdoor PE, so we need to make sure we bring our full correct kit. Tuesday Tuesday is when we have celebration assembly, so we need to make sure we dress extra smart! This is also the day Upper School need to bank their tokens to Mr Pope. Thursday Thursday is when we have our homework set, so we need to make sure we collect it. Friday Friday is when we have golden time, so we need to make sure that we have behaved during the week! All pupils are expected to follow the uniform policy and are expected to look smart and presentable around the school, at all time. Black shoes or trainers must be worn to school or other footwear will be presented to pupils. If pupils are not in correct uniform or footwear, a phone call home will be made, for uniform to be brought into the school. If this fails, children will be given correct uniform or footwear to wear. This is in-line with the uniform policy. Homework is sent home to either act as revision for previous topics or consolidation of learning outside of the classroom. Please be involved in your child's learning as much as possible, but please allow them to complete it on their own merit. Homework has changed recently. Homework is now set as a project. This is to help pupils love for their work, improved retention and general knowledge and allows pupils to be more connected with their homework. Children will be given a homework book and they have to complete as many as the tasks as they can. There is a range of activities around their topic, such as: Donald Trump pop art, model of the statue of liberty, fact file on an American President and so on. This is to give children the choice in what they do and allow all homework to be personal and varied. Here in 6KP, we believe that reading is not only an important part of learning, but an important part of everyday and future life. To deconstructing instructions, catching a bus, setting up Sky TV from following a cookbook - reading is immersed with everyday life. Reading allows us to become critical and reflective. No one is born a perfect reader, reading takes time, practice and commitment - but it is fun too! Following on from the wonderful conversations from parents evening, parents were interested in how to help their children at home - especially with reading. Above is a useful page regarding questions to ask your child. Just pick two or three from each section and you're away! In literacy, we have been looking at balanced arguments. We have been linking this with our Quality Reading book - Skellig. The argument is based around 'Should Michael tell his parents about the owl-man'. Recently, we created a courtroom in 6KP by having a judge, two characters, two law teams and the jury. The was a case brought to trail with Michael arguing against telling his parents and Mina arguing in support of telling his parents. Please ask your child about the case they attended. In Maths this term, we are learning and tackling various methods of short and long division. In Maths, efficient knowledge of times tables is massively important. It is involved in: fractions, division, ratio, percentage, algebra and other aspects. If children's time tables are up to speed, they will always improve in other areas of Maths. A massively fun way of learning your times tables is through Times Table Rockstars. This allows children to practice their times tables in a fun and familiar environment. If you're fed up with your child in front of Fortnite, just throw them infront of TT Rockstars and leave them to it. We are all hooked! In Maths this term, we gave been studying a range of aspects in Maths. At this moment, we have been mainly focusing on area and perimeter, and algebra. Children have been using their knowledge and reasoning skills to be able to calculate the area and perimeter. Perimeter is the measurements of all the lengths of a shape. So below, the perimeter is 7+3+7+3, or as our children know, this can be 7x2 + 3x3. Some of our master may notice it could be represented as 2(7+3). Overall, we can see that if we were to walk around the shape, we would walk 20 steps (cm). Area is the whole of the inside of the shape. Think about if you were to lay carpet in your living room. You would multiply the length by the width and there would be your answer! Algebra is possibly the most enjoyable part of Maths. It is something that sounds complicated, but is so easy - that's what makes it brilliant. Our children have been doing algebra since year one. Instead of 4 x __ = 8, just display it as 4 x a = 8. Instead of the line, we just use a number! "We've been doing algebra all this time?!" - the perfect response from one of our children. Algebra is about discovering the unknown...something that children are perfect at! 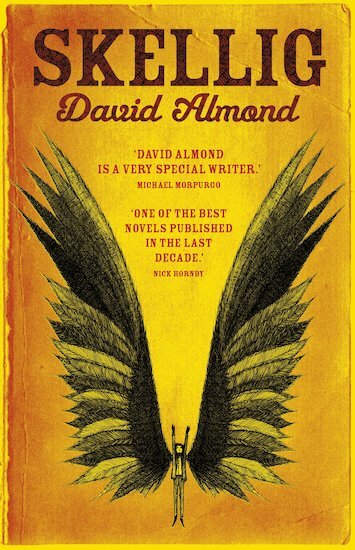 In QFR this term, we are reading Skellig by David Almond. This book is a well known book in children's - and even adults - literature. This book has been adapted for the stage and the TV screen. In this book, the main character is a boy called Michael. Michael has just moved into a new house and has a huge suprise when he finds a crippled living being in is new but crumbling garage. Please ask out children what they know about this book so far!